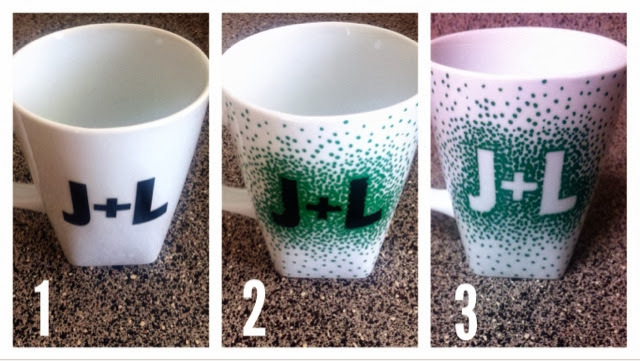 My sweet husband was asking to bring one of our coffee cups to work, but I just wasn't willing to give up one of our mugs that match our place settings... so, I told him that I would make him one! 1. 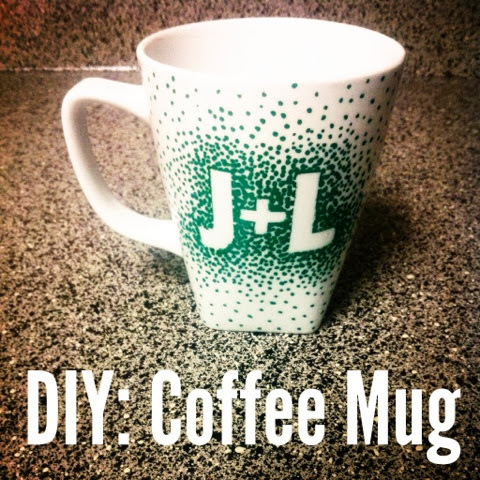 First, wash and dry your mug, then place your stickers onto the mug in your desired location. 2. 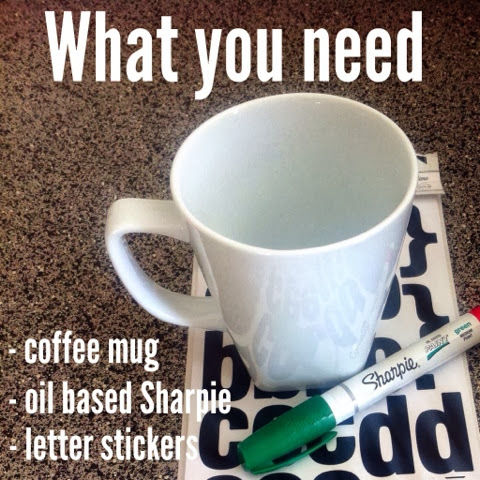 Next, start by placing dots around the stickers and work your way out to the rest of the mug (make sure your Sharpie is oil based... a normal Sharpie will not be dishwasher safe). 3. Finish by removing the stickers (cleaning up the stencil, if necessary), and baking the mug at 350 degrees for 30 minutes. After giving the mug to John, he was so excited (isn't that sweet?! even I know the mug isn't that cool). He said that he was so proud of it that he going to show his secretary... it made me feel happy. 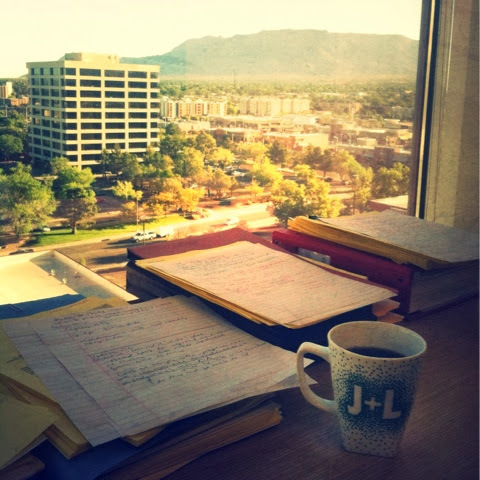 :) He sent me the picture below of him using the mug in his office. So sweet! The mug turned out great!